A sacred evergreen is given new life in the capable hands of a master arranger. Lush vocal harmonies and emotive keyboard writing create a pleasing ambience of warmth and community. 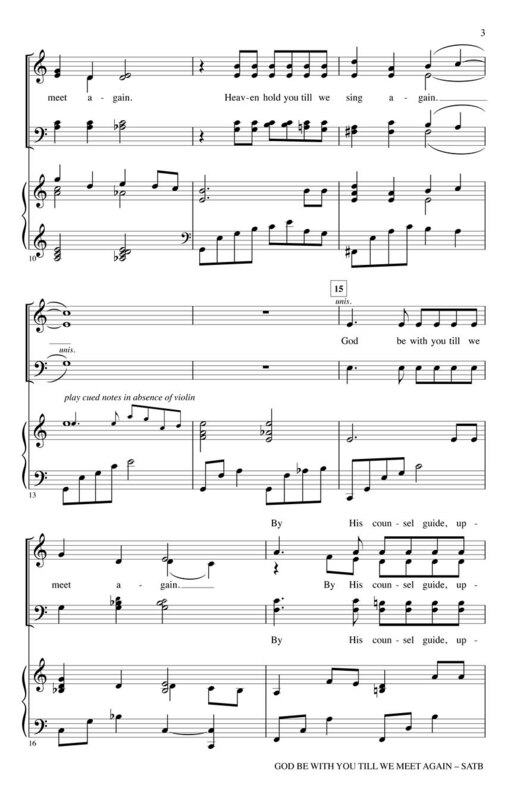 Treasured by many as a closer for Lord's Supper observances; this adaptation expands beyond the typical one verse congregational moment and brings about a choral offering of beauty and grace. Two presentation options are provided: one as an anthem; and shortened version for benediction usage. 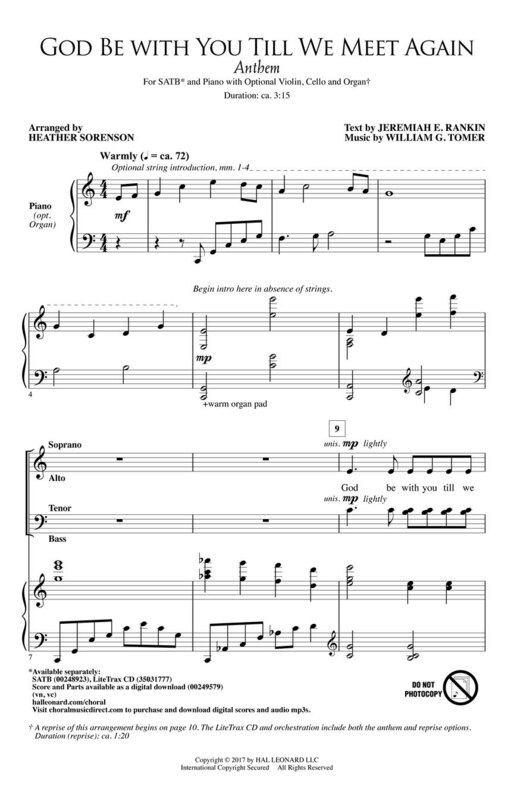 Score and Parts (vn; vc) available as a digital download.